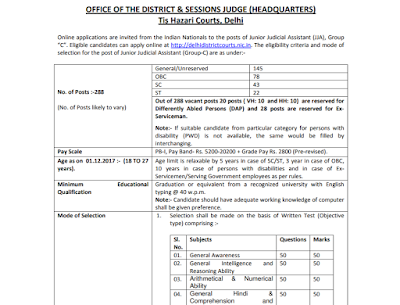 Delhi Court Invited application for post of JJA in Delhi Tis Hazari Court . 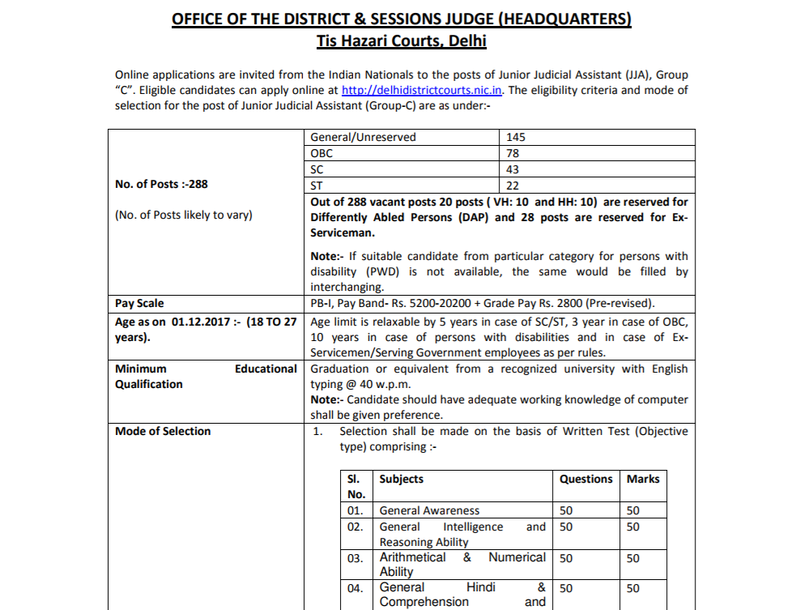 Those conadidates interested for above post can check vacancy details, eligibilit criteria etc. Examnination fee can pay through , online, debit or credit card.
. Bachelor degree in any Stream with typing Speed @40WPM. Stay Tuned for more updates on Delhi High Court JJA and other State and central govt. Jobs.